With the Aussies fielding one of the biggest teams ever at the upcoming World Transplant Games in Málaga, now only three months away, Transplant Australia is helping athletes excel by running a camp at the Australian Institute of Sports. Developed in partnership with Astellas, the World Transplant Games Training Camp: Australia will give athletes the opportunity to access the best facilities and coaches in the country, and will include classes in Nutrition, Strength and Conditioning, Performance Testing, and Sports Psychology. This will make the green and gold hard to beat in Spain. An application process was opened to World Transplant Games athletes for limited positions, and a who’s who of our strongest competitors applied. Transplant Australia is thrilled to announce the group going. Coburg Cycling Club’s Tamaryn Stevens, a kidney recipient who was recently named Women’s Cycling Criterium Champion, is attending and wants to develop her sprint. A veteran of 8 Australian Transplant Games, Dr Greg Cash has won a whopping 93 medals in swimming since 1995. The liver recipient from Queensland is on the hunt to add to his impressive tally in June, and will work on techniques in the pool at the AIS. West Australia’s Josh Yates has also amassed an impressive collection of gold, from the 2008, ’10, ’12, ’14 and ’16 Australian Transplant Games. The 28-year-old Busselton local, who is also a bone marrow recipient, has won silver and bronze in the 5000m race at the World Transplant Games in the past, and wants to work on his speed at the AIS. 2015 World Transplant Games bronze medallist David Howard, a kidney recipient from Victoria, is hoping the camp will help him get his 5km time under 18 minutes in time for Spain. Fit for Life! 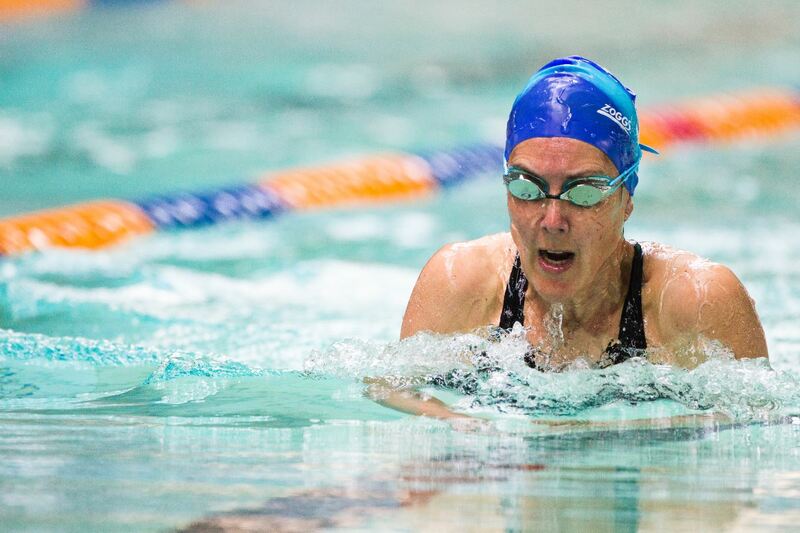 Ambassador, triathlete, multi-medal-winner at the ATGs and heart-lung recipient Kate Phillips will attend, along with NSW’s Michelle Daley, the dual liver recipient who was named Most Outstanding Female Athlete at the Australian Transplant Games in 2016. Meanwhile kidney recipient Michael Gohdes, the current Transplant Games world record holder in the 400m for the 40-49 age group, wants to focus on strength and conditioning at the Australian Institute of Sport. 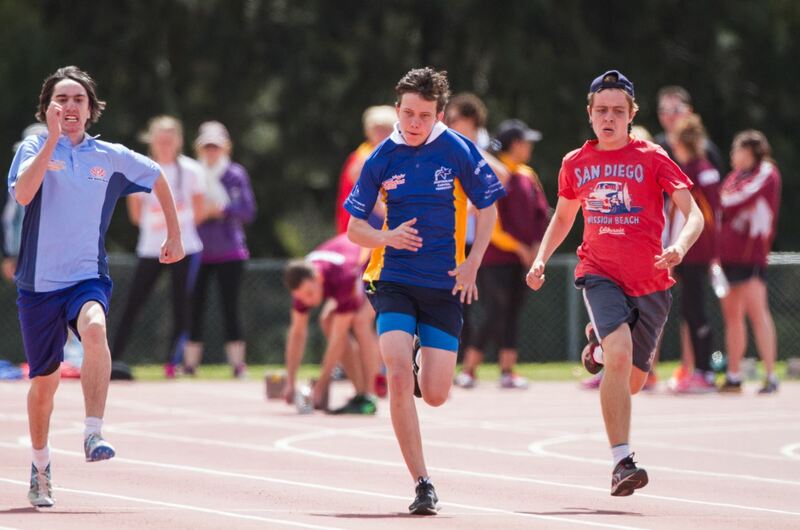 Australian Transplant Games 2016 gold medallist in the 100m sprint, Bradley Stanley is already quick off the mark, and can tackle his signature event in just over 13 seconds. However; the 17-year-old liver recipient is hoping to use the camp to learn how to use a sprinter block. Bryan Rollins, a triathlete who has completed Ironman Busselton and Ironman Cairns, is seeking to work on his Butterfly. The kidney recipient cleaned up in the pool at last year’s Australian Transplant Games, winning gold in the 50m, 100m, 200m and 400m races. Melbournian heart recipient Rebecca Peters is an accomplished badminton athlete, having won gold and silver at the 2014 Australian Transplant Games. She’s also a bronze medallist in the 20km Cycling, and will be representing Australia in the 30km Cycling Sprint Race, badminton and volleyball in June this year. Rebecca will be focusing on prep and nutrition at the World Transplant Games Training Camp: Australia. The Western Sydney Australian Transplant Games was the first sporting event post-transplant for liver recipient Bruce Giles, from rural NSW, and he did extremely well, winning two silver medals in his cycling events. He will attend the WTG Training Camp to improve his strength in the lead-up to June, when he’ll be racing against athletes from 60 member countries. Inspirational swimmer, cyclist and runner Suzanne Halbish wants to build on her gold-medal-winning performances at the Aus. Transplant Games last year. The kidney recipient narrowly missed medalling in 2015 in Argentina, and will use the Camp to help her (hopefully!) bring home the gold and silverware from Europe. Holder of both ATG and WTG records, bone-marrow recipients Steven Arthy and Montague Summers will be traveling to our nation’s capital from Queensland to take part. Steve says, “A athlete from Great Britain beat my world record for Javelin at the last World Transplant Games. I’d like to get it back.” All of Australia would like you to have it back, Steve – victories are always twice as sweet against the Brits! 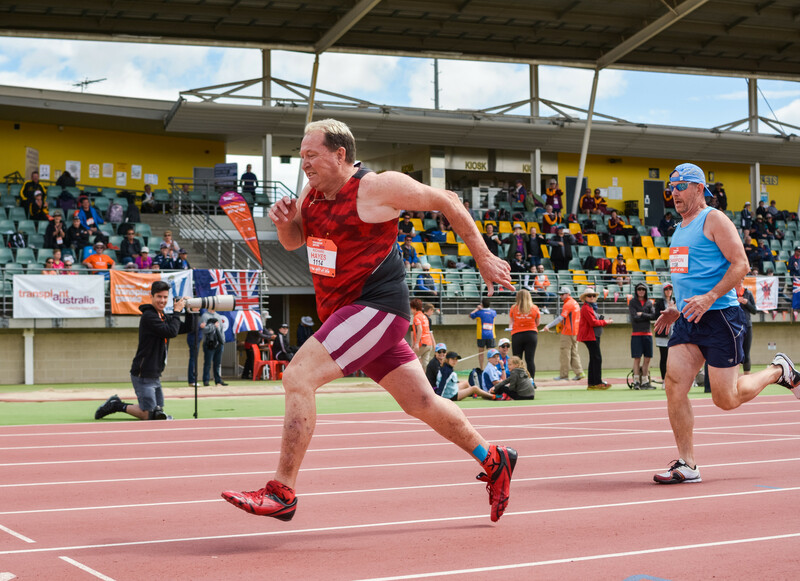 Newly elected Queensland Chair and Transplant Australia Life Member, liver recipient Richard Hayes will be representing Australia in the 100 and 200m, as well as discus and shot-put. He’s hoping the experts at the Australian Institute of Sport will help him enhance his athletic techniques and performance. Linda Petrovski, a kidney recipient and skilled sportswoman from Victoria, lives and breathes health and fitness. She’s going for gold in a broad range of events at the World Transplant Games, from the 100m to the 3000m races, shot-put and tennis. Kidney recipient Michael White has been winning medals at World Transplant Games since 1987, when he came away from Innsbruck with two silver and two bronze. He’s won eight gold medals at World events for Australia since then, and at the WTG Training Camp, will be looking to learn about best practices to achieve peak performance. Transplant Australia is incredibly proud of each of these athletes, and was pleased to offer this opportunity to our members to utilise the best sporting facilities in Australia. 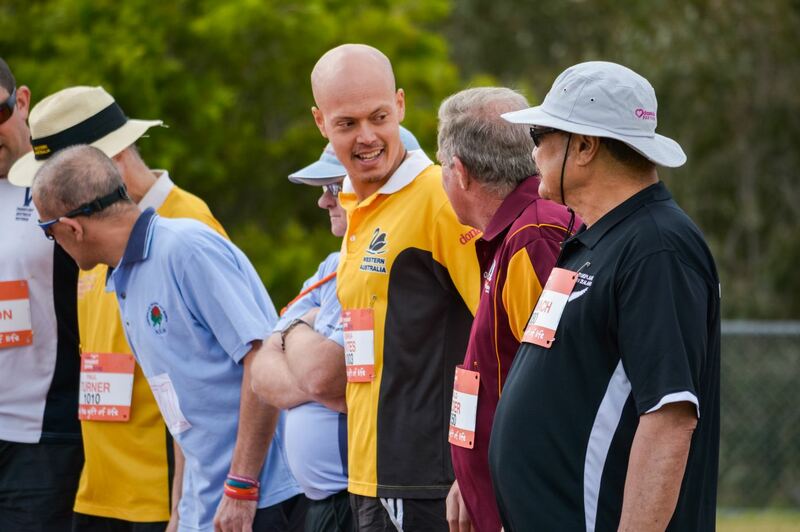 Under the umbrella of Fit for Life, the initiative of the World Transplant Games Federation in partnership with Astellas, this camp will help Transplant Australia deliver a pathway for recipients to continue their development, reach their fullest potential post-transplant. Australia looks forward to seeing our amazing athletes flourish on the track and in the pool in June.